The event administrator has closed online registration for this event. Register in person race morning starting at 8 AM. Come celebrate St. Patrick's Day at "America's Most Irish Road Race"! 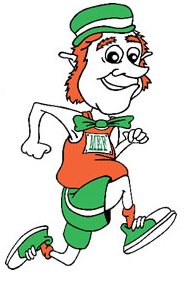 Wear your green and join 4,000 runners, walkers and crawlers at the South Shore's premier road race! Flat, fast, USATF certified 5K ocean course with cash prizes ($683,$250,$100) for the top three overall male and female, along with $317 ($1,000 total!) for a new male or female course record! (M-14:39 & F-16:29). Age group awards first through third. Great finish parties at the pubs and restaurants of Brant Rock! A fun day for all! After 3/6/19 and Same Day Registration - $35.00. I hereby for myself, my heirs, executors and administrators, waive and release any and all rights and claims for damages I may have against the Marshfield St. Patrick's Day Road Race, sponsors, coordinating groups and any individuals associated with the event, their representatives and assigns, and will hold them harmless for any and all injuries suffered in connection with this event. I attest that I am physically fit to compete in this event. Further, I hereby grant full permission to any and all of the foregoing to use my likeness in all media including photographs, pictures, recordings or any other record of this event for any legitimate purpose.